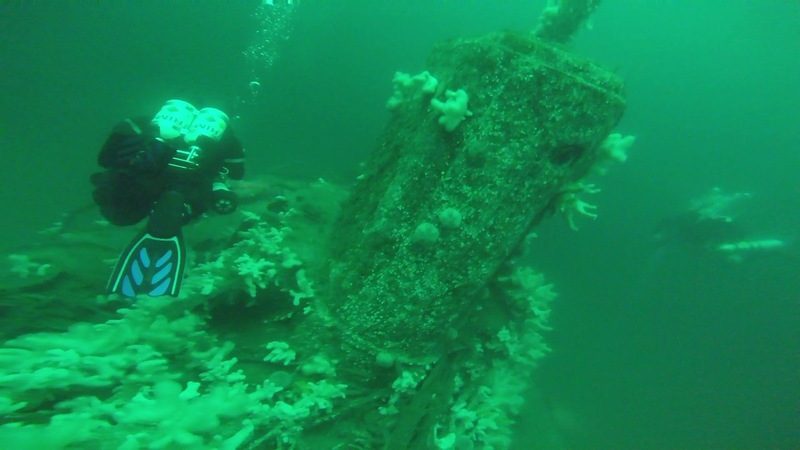 I just had an amazing weekend with the top dogs of the North East wreck diving MarineQuest over in Eyemouth. 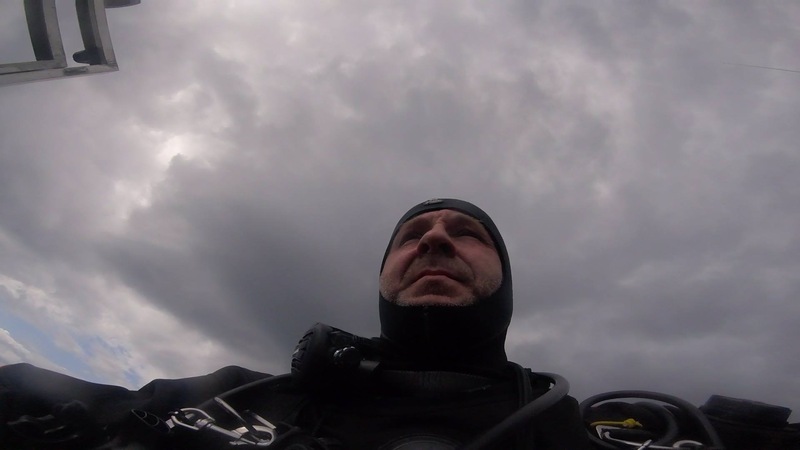 Fantastic North Sea diving with great mates new and old. 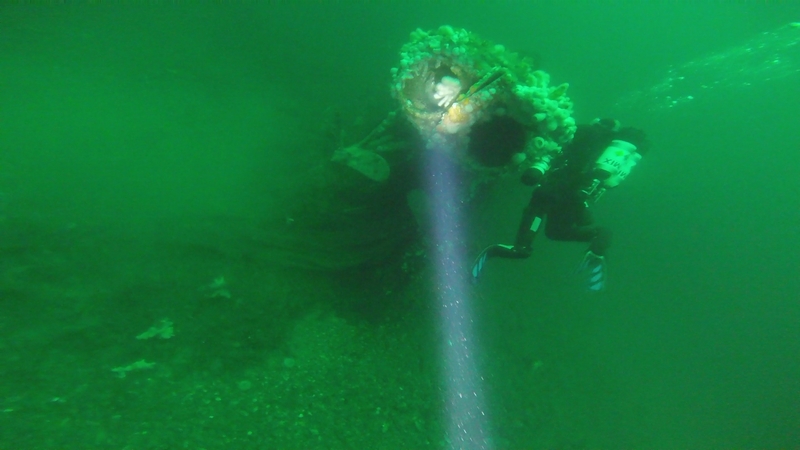 I was fortunate enough to dive both the Glanmire wreck with crazy fins Undersea Wully (Saturday in questionable conditions) and the U-12 on Sunday in near perfect conditions , if cold both topside and undersea with the Zero Viz conquistador Neil Farmer. 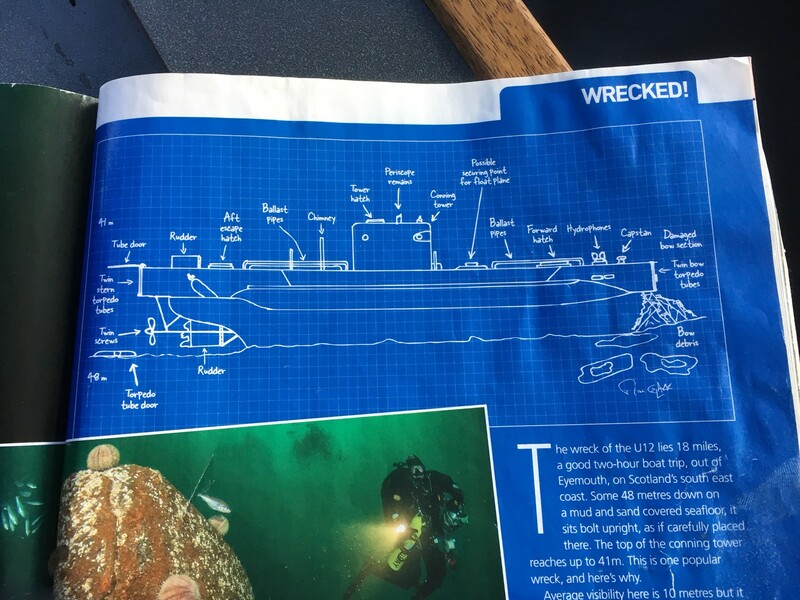 Both excellent and adventurous dives. The U-12 however just blew me away. 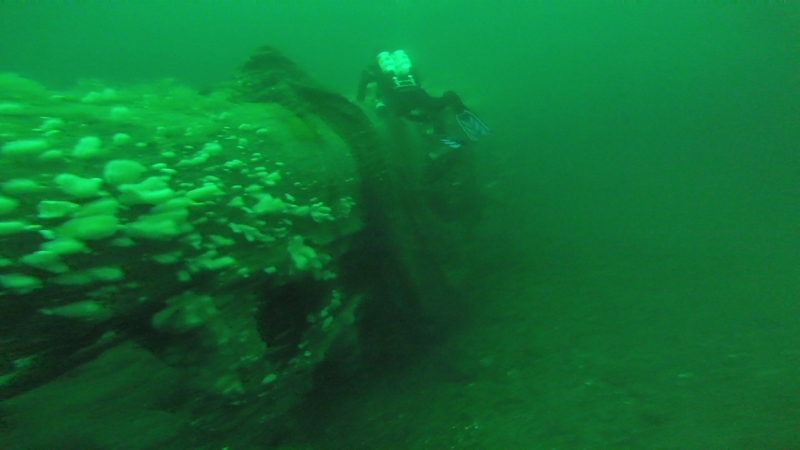 A German submarine sat on a white sandy beach deep under the open North Sea , now there was a real adventure !! 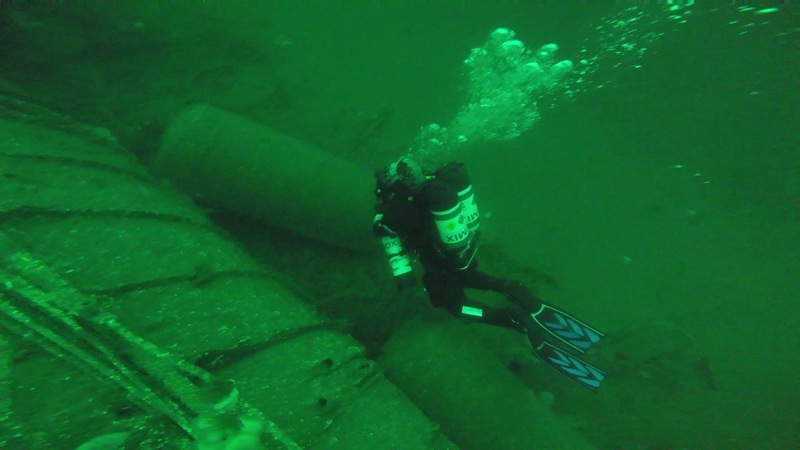 Especially as a German submarine has been on my bucket list for years and this one was to be perfect ! It was against this backdrop that a ferocious naval battle occurred off the east coast of Scotland. 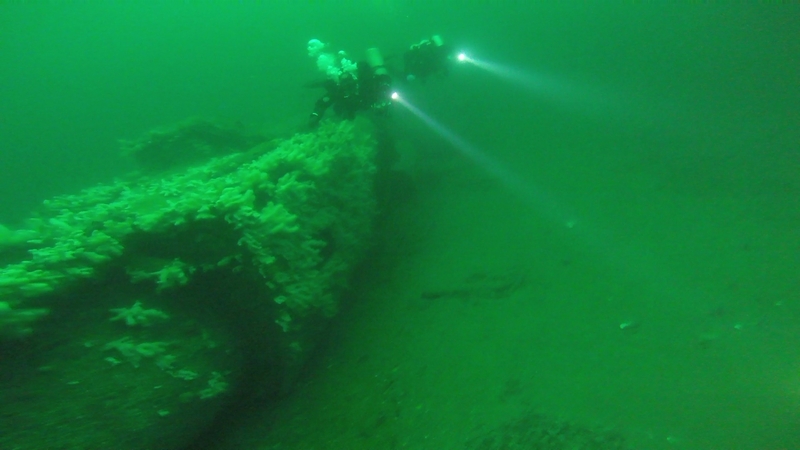 On morning of the 10th March 1915 U-boat U12 was spotted by the trawler May Island east of Fife Ness. Three British warships, the Acheron, the Attack and the Ariel, were sent to track it down and engage it. Having earlier attempted to torpedo the HMS Leviathan, U12 would not be allowed to escape. According to the Admiralty logs, at 10.15am the Ariel, the Attack and the Acheron found and attacked the U-boat. 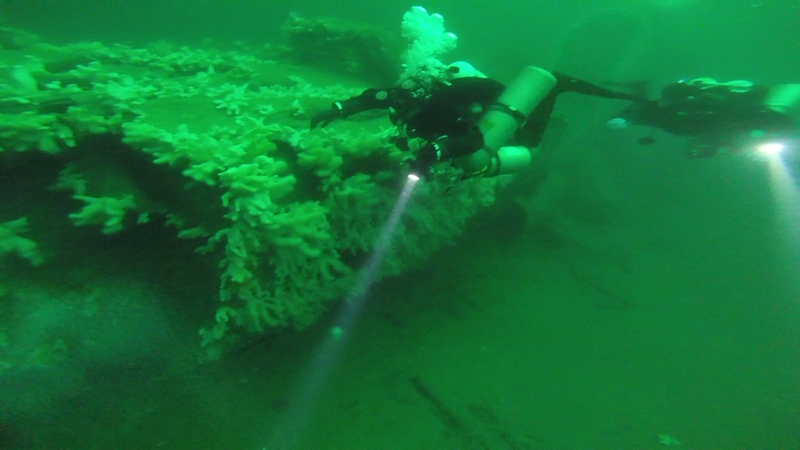 After being strafed with machine-gun fire U12 submerged. 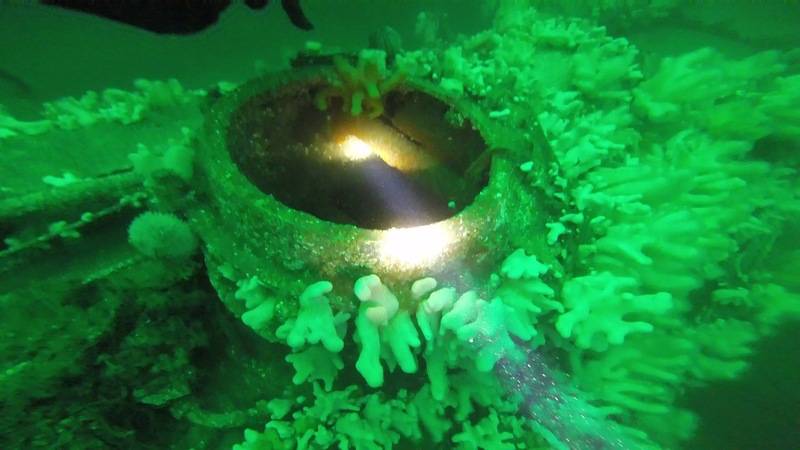 The Ariel spotted the periscope of the vessel submerged just under the surface. At full speed the Ariel rammed the U-boat. The boat resurfaced to a hail of gun and shell fire which damaged the conning tower and killed the U12’s captain, Hans Kratzsch. Image: A postcard commemorating the sinking of the U12. Copyright Jim MacLeod, reproduced by kind permission. 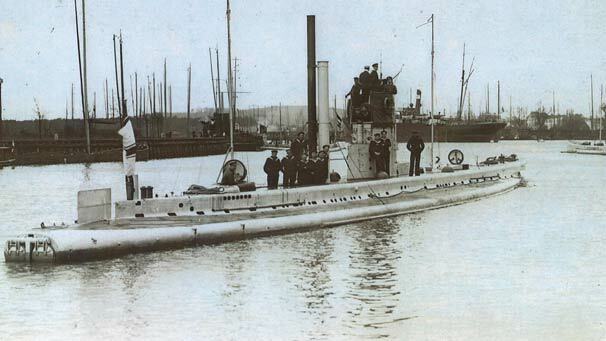 Badly damaged and under fire, several crew of the U12 appeared on the deck of the boat and surrendered. While these men were rescued, many other were not so fortunate. With the conning tower hatch jammed, 19 men went to their deaths as U12 sank within minutes. The crippled Ariel was towed back to Leith docks after the engagement. 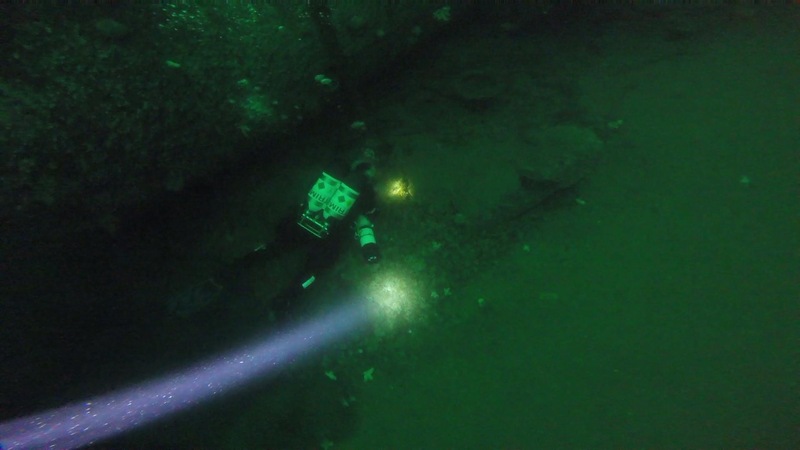 The surviving crew of the U12 found themselves in the middle of a diplomatic row upon their capture. With U-boat crews perceived to be little more than pirates by the British authorities, there was a popular clamour in the press to see the crew hanged. Instead they were kept in solitary confinement and denied any privileges of rank – a fate not shared by other prisoners of war from more traditional forms of combat. The German authorities responded in kind with British prisoners of war. With the intervention of the Swiss the diplomatic row was eventually resolved. Without doubt the U-12 on the day rivalled some of the more famous dives I have done across the globe … World class diving right on the door step !! 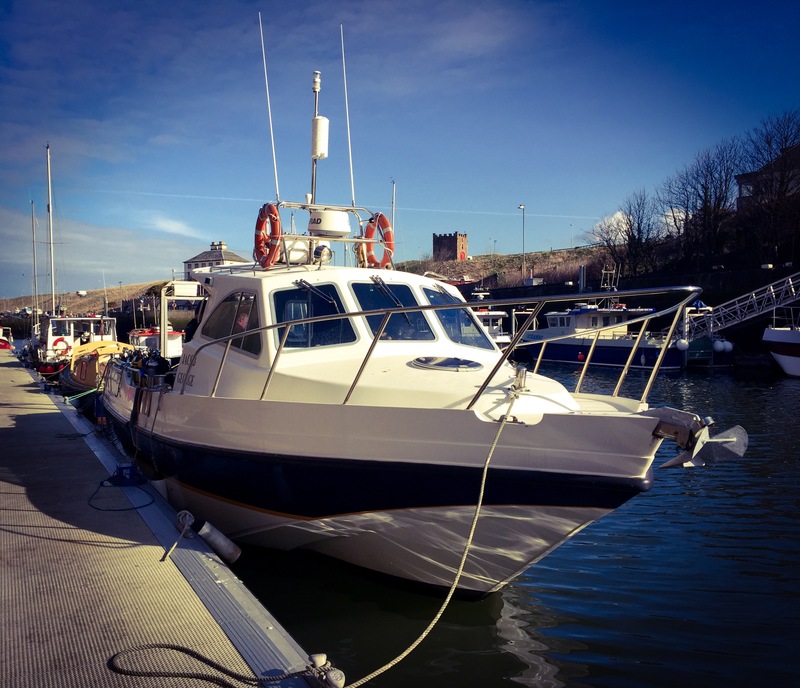 Neil and I left my place early to be in Eyemouth at 8am for a 9am RO (ropes off). 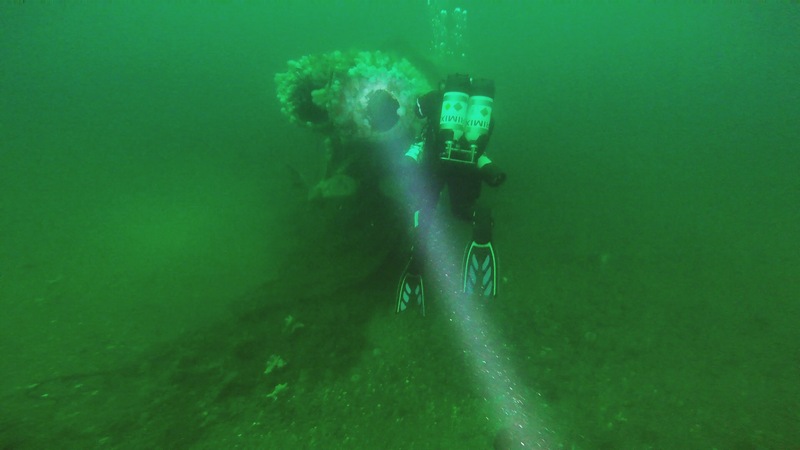 The original plan had been to dive the U-74 20 miles north of Eyemouth but due to favourable conditions a plan had been hatched to dive the far more elusive U-12 German U-boat. The day started good and kept getting better ! Heading East …. EARLY !! 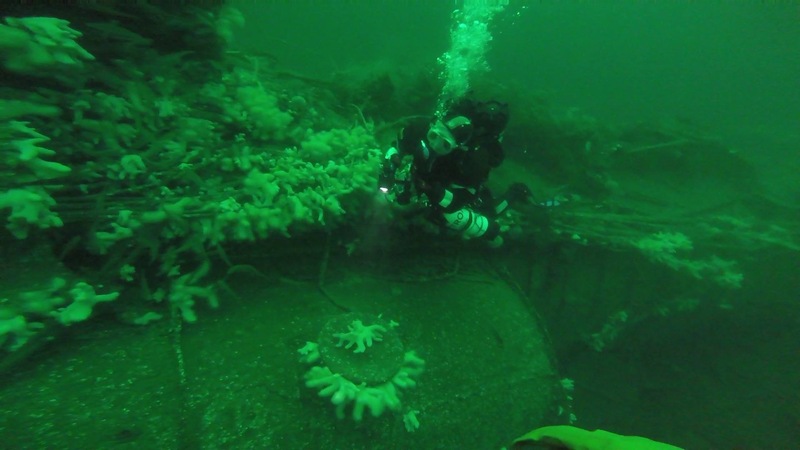 Due to its position in the open sea 30 miles East of Eyemouth it is an exceptionally hard dive to catch, often taking a diver years of waiting. 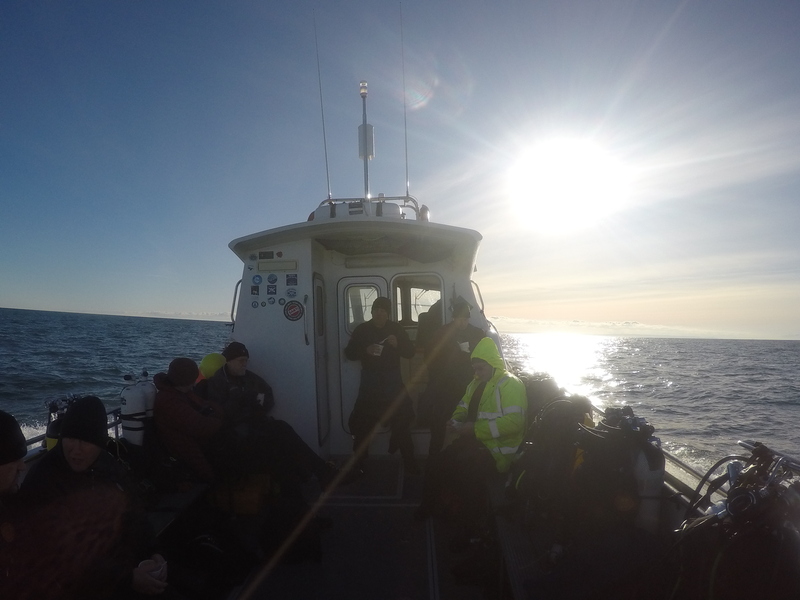 Luckily conditions were on our side and it was beautiful, sunny if a little cold at around 4 degrees topside morning on the East coast. 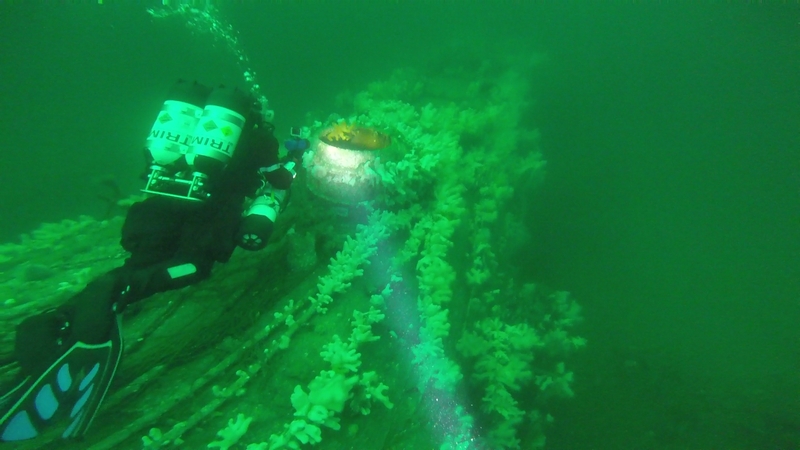 We set sail with a full boat of technical divers on the Jacob George, a fast dive boat from the Marine-Quest fleet. 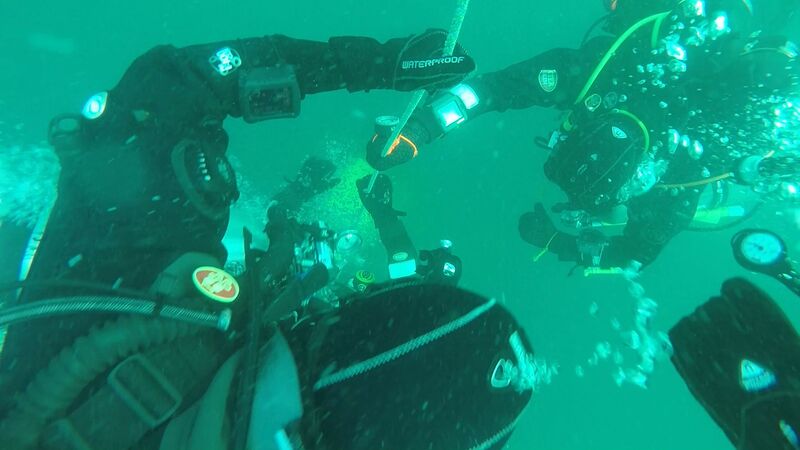 Pretty soon we were buddy checking as we circled the buoy ready to drop in when slack tide was ascertained … go go go we all plopped off the back and descended .. the visibility in the open sea was the best I’ve had in the UK , 8-10m crystal clear and even at 47m below there was enough ambient light to see but the torch still had to be on after 35m to pick out the detail. The conning tower came into view and soon Neil and I were off circling the submarine trying to see it all in our short bottom time. Soon we were being picked up by Iain and I could again relax in the relative comfort of the Jacob George . 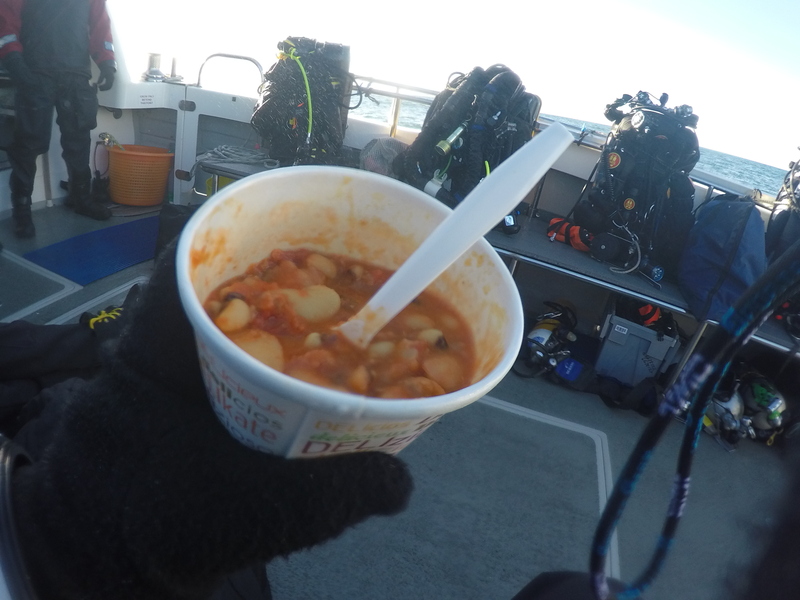 Iain was soon feeding us the tastiest Bean Casserole ever cooked and cups of tea galore just made Neils day !! 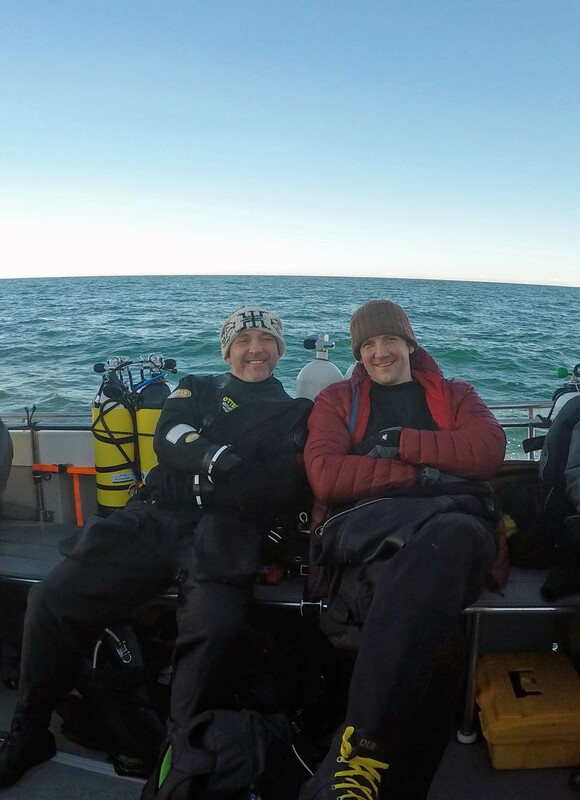 Earl grey to boot 😀 The rest of the divers including rebreather divers who I think must be impermeable to the cold water eventually surfaced and the shot was raised and we soon sped back to Eyemouth harbour two very happy men ……..